Hello there, Come in, come in – Welcome to Little Mis-Fit world! Now get sat comfy, pour yourself a cup of green tea and learn a little about us. 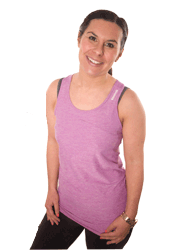 I’m Joanne, and I run community fitness classes, based in County Durham, in the Stanley and Consett area. I’ve always loved exercise and working out – for me it really is a way of life. I love to workout, be it going for a run, a spot of yoga or fat burning it up interval style – it clears my head, and de-stresses me; taking care of myself through working out and nutrition always makes me feel and look better inside and out, which helps as I also happen to have a teeny addiction to chocolate but shhhhhhh. Back in 2010, I enrolled on an exercise to music course and qualified to teach group fitness classes and thus Little Mis-Fit was born. I wanted to create Fitness classes out in the community, where you worked hard and saw results, but had fun at the same time. A place for people to come workout and make friends. Somewhere, where everyone feels comfortable and not intimidated. We do work extremely hard , but we have fun too – after all Fitness should be fun, it makes it so much easier to stick with and return week after week. The Mis-fits really are like a family with plenty good positive spirits and camaraderie and we have built up a real community vibe. No matter what your level of fitness from couch potato to fitness fanatics – there is a class for You. It would be lovely to have you come try our classes – so go on check out the Timetable page for a list of classes, and get yourself along. I am qualified in Group Fitness, Exercise to music, Boxercise, Pilates, Pre/Post natal exercise and Nutrition for weight management and Metafit. I am also qualified in Baby and Kids Yoga and have a full and valid CRB check. I am always learning via books, courses and attending lectures and workshops to try and increase my knowledge.